A full-color resource, Radiation Protection in Medical Radiography, 7th Edition makes it easy to understand both basic and complex concepts in radiation protection, biology, and physics. Concise coverage promotes the safe use of ionizing radiation in all imaging modalities, including the effects of radiation on humans at the cellular and systemic levels, regulatory and advisory limits for human exposure to radiation, and the implementation of radiation safety practices for patients and personnel. This edition includes NEW content on the impact of radiation levels during the nuclear power plant crisis that followed the 2011 earthquake/tsunami in Japan. 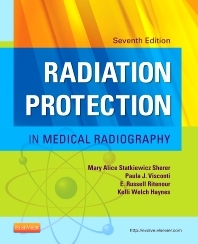 From an author team led by well-known radiation protection expert Mary Alice Statkiewicz Sherer, this text has consistently helped students perform well on the ARRT exam! Full-color illustrations reinforce important information. Convenient, easy-to-use features include chapter outlines and objectives, highlighting of key terms, and bulleted summaries and review questions to enhance comprehension and retention. Clear and concise writing style covers complex concepts in radiation protection, biology, and physics in a building-block approach from basic to more complex concepts. Review questions are included at the end of chapters to assess your comprehension, with answers on the Evolve companion website. Coverage of historical radiological disasters includes photos and text on Hiroshoma, Chernobyl, and Three-Mile Island.